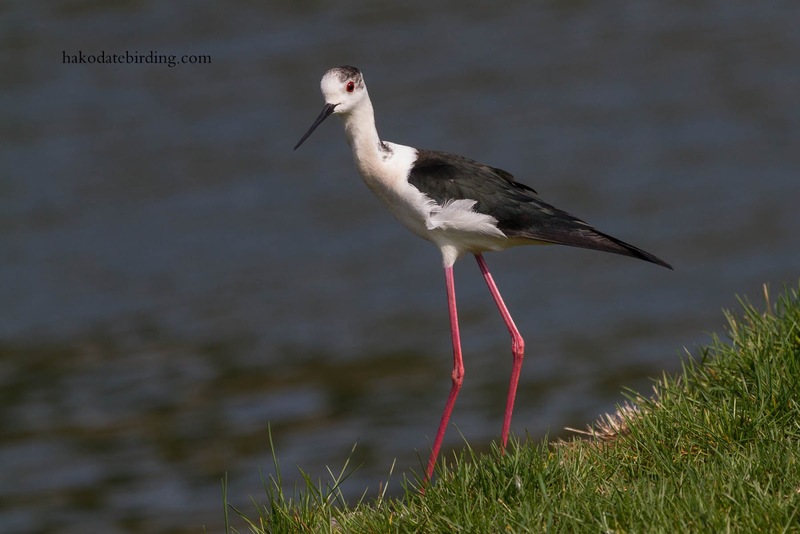 A Black Winged Stilt from May. I've had 2 days off and it has been raining for the past 48 hours, hence the old photos. This individual stayed for about a week in Goryokaku Park this spring and was very tame and approachable. Normally scarce this tfar north, There was an influx of the species into the region in klate April to mid May 2013, I saw several birds at several different sites. I took lots of photos of it, these are from a day when I didn't upload any to the blog. Not much birding recently. 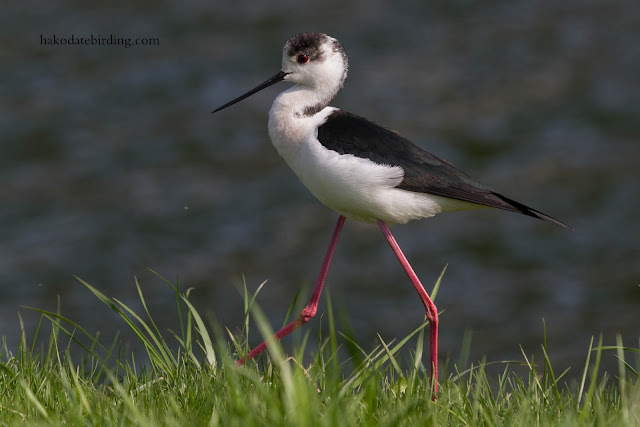 A flock of Red Necked Stint were ate Kamiiso earlier in the week but not much else, a couple of Great Egret being the only noteworthy species. At Sawara last Monday there was a Wood Sandpiper, Long Toed Stint, Red Knot, 2 Mongolian Plover and the inevitable Red Necked Stints. Congratulations on the prospect of your new toy. I'm sure you'll enjoy it. Happy birthday too. It's interesting to see the bluish sheen in the black of the wings, not something I've seen in Australian birds, but they're common around Melbourne, so maybe I should have a second look! Thanks for the comment. 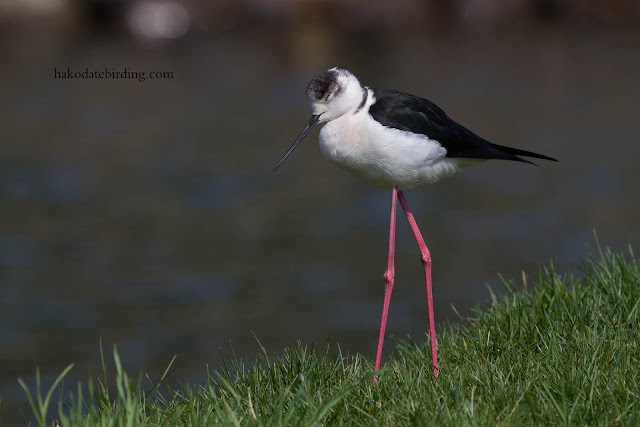 Australia was where I saw my first Stilts I recall............and though they usually look black and whute these ones were in unusually good late afternoon light. 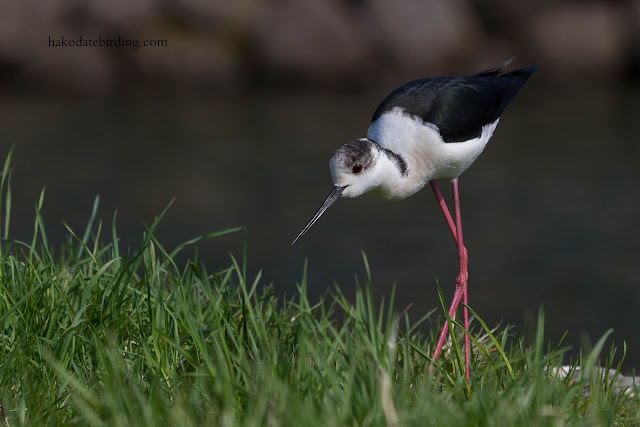 Those Stilt pics are just as amazing as first time - must be unique seeing it standing in grass. Dream lens is all I'm saying. Hi Stuart, yes it was time to chase my dreams.............luckily I don't drive so a sports car was out of the question. Wow! Wow! Wow! Cheese, I remember when I was 45. Those were the days. Life was care free. I've been having a crisis since I was 20 but I haven't ordered a 500 f4. Congratulations. Your photographs are spectacular now so I can't wait to see what you can do with your new toy. 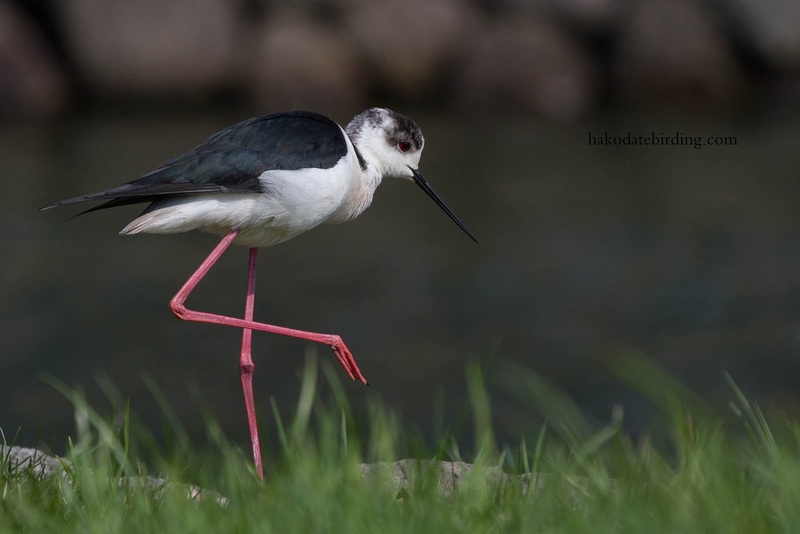 I've never seen a stilt in Japan (only oz) but your pics are great. 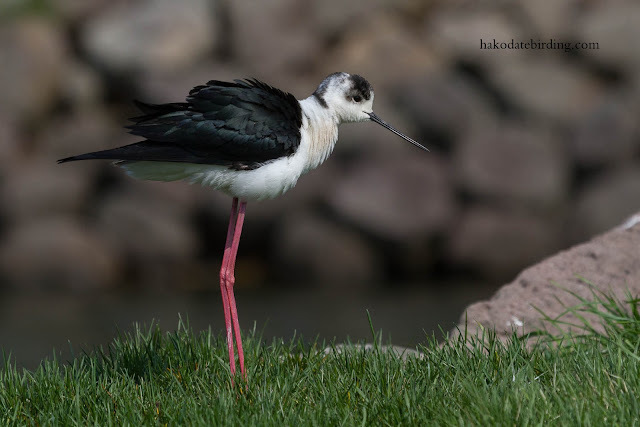 Wow congrats on your 500mm! This winter we'll sure see even more brilliant shots from you. 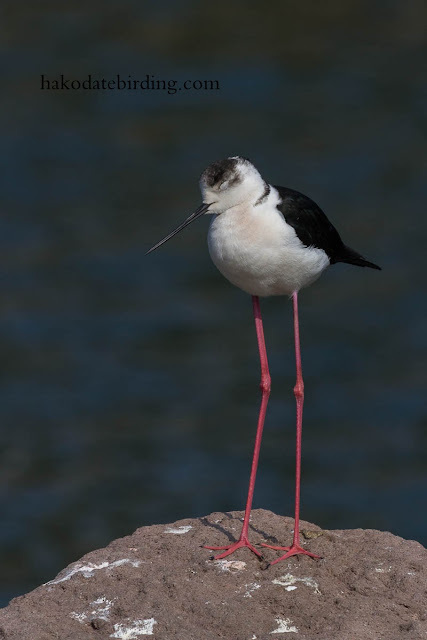 BTW, I like that last shot of the stilt. 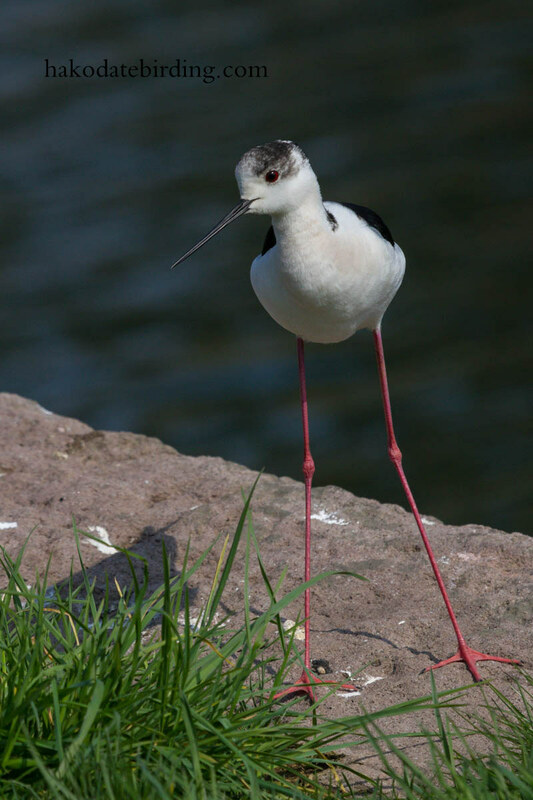 It really shows how long the legs are. Hi Ayuwat, I still have to wait 4 weeks before it arrives. It is like being 6 years old and waiting for Christmas. Happy birthday you little nipper; 45!!! nobbut a boy still. I think we are going to enjoy your new toy - looking forward to the pics already. Is one of the various accessories a 1.4 or 2x converter for even greater range? Does it have a kick-starter ? For the price I'm going to pay it should have not only a kick starter but also coffee making capabilties functions plus abilities to predict the future. One with a coffee maker would sell really well - you could make a fortune and be able to buy anything you wanted! Whenever I see that species I am always transfixed and amazed at those legs. You really got some wonderful shots there showing the pink colour to good effect.